With fresh tears in her eyes, a young girl approached Lillian Wald, a graduate of New York Hospital School of Nursing. Concerned for the girl’s well-being, Wald followed the child back to her family’s apartment and opened the door to find a horrific scene: blood soaked sheets. Having given birth two days earlier, the girl’s mother remained in bed hemorrhaging blood. Wald tended to the woman and comforted the family.This experience spurred Wald to establish the Henry Settlement House in 1893 with the aim of caring for New York City’s most disadvantaged citizens on the Lower East Side. Wald’s pioneering vision lead to tremendous results. By the early 20th century, the services expanded and residents in upper Manhattan and the Bronx began to benefit from vital medical care and health education. The year she retired, 1933, 265 nurses made 550,000 home visits to more than 100,000 patients. By 1944, the Henry Street visiting nurse program evolved into its own entity called the Visiting Nurse Service of New York (VNSNY). Wald’s commitment to care remains strong in the VNSNY’s continued work with communities throughout the metropolitan area. In 2013, thousands of health care professionals made more than 2 million clinical home visits and provided over $30 million in charitable care to the uninsured and underinsured. Like Wald, the photographer Roy Perry found himself gravitated toward life in the Lower East Side. In fact, he grew up on Orchard Street and later returned to the neighborhood to document how the community had changed. Also like Wald, he worked in the health care field, eventually becoming the Chief of Research Photography at the National Institute of Health. In the early 1940s, with his Voigtländer Superb camera in hand, Perry turned his lens to the nurses of the Henry Street Settlement House. He captured the day-to-day interactions between the visiting nurses and the New Yorkers they served. His photos show their continued efforts to educate expectant mothers (and fathers) and to serve a diverse population. In nearly all his photos, the female nurses stand hunched, dutifully attending to the young, the old, and the vulnerable. Their faces often remain turned from view or hidden by a mask, as if to emphasize their humble call to serve. Interested in learning more? 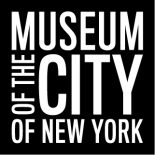 Visit the Activist New York exhibit in the Puffin Foundation Gallery to view objects from Lillian Wald’s distinguished career and instruments used by the visiting nurses. Jackson, Kenneth T., ed. The Encyclopedia of New York City. Second ed. New Haven: Yale UP, 2010. Print. Schreiber, Norman. “Perry Power.” Popular Photography Apr. 1982: 65-66. Google Books. Web. 26 Feb. 2015. <https://books.google.com/books?id=2Q_myLjG1_0C&pg=PA65&dq=roy+perry+photographer&hl=en&sa=X&ei=FDvmVPyOOY7msATd_4G4BA&ved=0CB0Q6AEwAA%20-%20v=onepage&q&f=true#v=onepage&q=roy%20perry%20photographer&f=false&gt;. Taylor, Kendall, PhD. Black and White: Two Views of New York City During the Depression. Massena, New York: Stubbs Printing, 1979. Print. “Visiting Nurse Service of New York.” About Us. Visiting Nurse Service of New York, n.d. Web. 26 Feb. 2015. <http://www.vnsny.org/about-us/&gt;. “Visiting Nurse Service of New York.” History. Visiting Nurse Service of New York, n.d. Web. 26 Feb. 2015. <http://www.vnsny.org/about-us/history/&gt;. “Visiting Nurse Service of New York.” Lillian Wald. Visiting Nurse Service of New York, n.d. Web. 26 Feb. 2015. <http://www.vnsny.org/community/our-history/lillian-wald/&gt;. This entry was posted on April 14, 2015 by Michael McMenamin in Photography Collection and tagged 1800s, 1900s, Henry Street Visiting Nurse Service, Lillian Wald, Lower East Side, Nurse, Photography, Roy Perry, Visiting Nurse Service of New York.